A seventeen year old is somewhere in between being a girl and transforming into a woman. This fact alone makes it difficult for anyone to figure out which kind of gift she would love to have. Ideal gifts for 17 year olds are those which help her with the difficult transition into adulthood. Any gift item which has a unique sense of style, helps make her feel safe or look savvy would certainly put a smile on her face as well as aiding her journey into womanhood. Toys and dolls are not really her thing at this point but something that would help her improve or develop a skill will surely interest her. You can count on our 21 best gift ideas for 17 year old girls to act as a guide in helping you find something she will really love. Featuring a large capacity of 32oz, this water bottle is perfect for helping your teenager stay hydrated throughout the day. It has a large infuser basket and also comes with recipes to make delicious infused water. The bottle is designed to prevent leaks, and also to keep the contents fresher for longer when compared to other bottles. 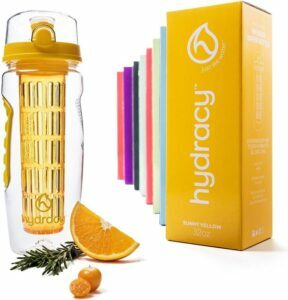 One impressive feature of this Hydracy water bottle is its dual grip on both sides which makes it easy to hold. It also features a stylish and portable design that makes sure it perfectly fits into a bag. The bottle has a convenient flip top design, and can easily be cleaned in just one minute. 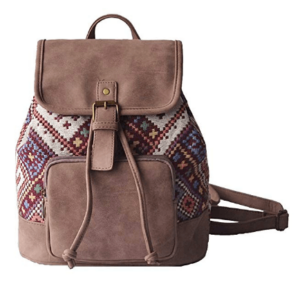 Made using high quality PU and canvas material, the LilyQueen backpack is made to last well, so one doesn’t have to worry about getting a replacement anytime soon. It comes with a snap button combined with a drawstring closure, making it easy to open and adjust. This bag is one every teen can count on for school, shopping, traveling or work. Its lightweight and adjustable strap design makes it easy to get the perfect fit, and comfortable to wear for long periods. It is the perfect gift idea for every teen girl out there. 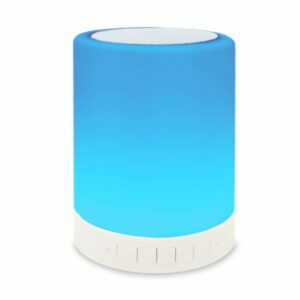 This item features the unique combination of a Bluetooth speaker and an LED light. The light is designed to be dimmed for use at night time so it doesn’t interfere with sleep. Girls can fall asleep listening to soothing music or their favorite songs with the ZHOPPY lamp speaker. The Bluetooth speaker is designed to be compatible with most tablets, cell phones and even computers. One impressive feature of this Bluetooth speaker is it comes with a HFP function which allows it to act as a Bluetooth speaker phone. It comes with a powerful lithium ion battery which, when fully charged, is guaranteed to last for 10 hours when playing music – perfect for overnight use. Simply by tapping the speaker, the color of the lamp can be changed to one of 7 different colors. It also has the option of having the colors fading or dancing in time with the music. This is an interesting and creative 3D night light. It is one that helps users to sleep soundly and with a feeling of safety, perfect for girls who have trouble sleeping. 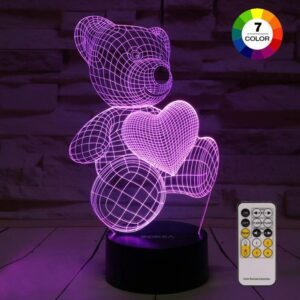 The unique night light is easy to operate as it comes with a remote control which helps in switching between preferred colors. There are 7 different colors to choose from, and the light also comes in a variety of designs including an owl and a peacock. The ZOKE 3D night light is the perfect gift item for teen girls out there whether it is for Christmas, birthdays, or Thanksgiving. It is a thoughtful and unique gift which is sure to be greatly appreciated. This karaoke microphone is easy and fun to use – simply turn it on and pair it to your device and it’s ready to use. The wireless microphone comes with a useful user interface which can be used to play, pause or change songs, adjust echo and volume as well as recording speeches and songs. One can make use of this karaoke microphone anytime and anywhere thanks to its Bluetooth function. Its aluminum lightweight frame makes this karaoke microphone easy to hold. It’s also durable as it is impact-proof and shock-proof. 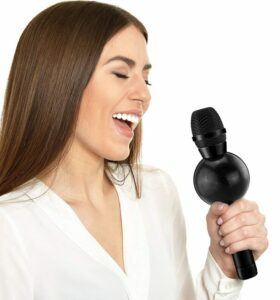 The microphone is perfect for use at parties, birthdays, weddings and sleepovers. It is also considered to be the perfect gift item for teens who love to sing! Teen girls will love the idea of having the Toysmith pin art.It is fun and soothing to use, and also looks great on display in the room. Of course, the pins are not sharp so you can be sure your teen will be safe when they use this tool. It’s great for inspiring creativity, something which some teenagers struggle with. These pins are properly packaged in a durable yet lightweight frame to ensure they stay securely in place. 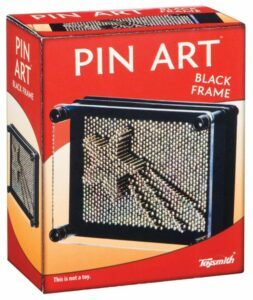 This pin art frame is perfect for displaying on tabletops and bookshelves. It’s a unique gift which is an ideal conversation starter – perfect for teens! Made using top quality cotton and Orlon materials, the AIRDOM mermaid blanket is durable and safe to use. It is cozy and soft, so teens can enjoy using it during the night, for naps or even just for relaxing at home. This blanket features a cute mermaid tail design which teen girls will love! It is the perfect gift for Christmas or for winter birthdays, as it is great for helping girls stay warm when the weather is cold. 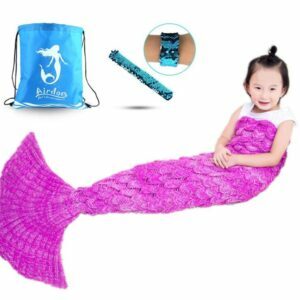 The mermaid tail blanket can be used anywhere and anytime. It’s ideal for use whilst camping, watching movies, reading a book, having a sleepover with friends and of course, in bed. Teenage girls will most likely want to play around with their appearance. 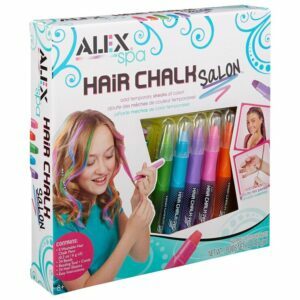 That’s why the Alex Spa Chalk Salon is a great gift for them. If they wish to change the color of their hair, but you would rather they didn’t, this item is perfect as it can easily be washed away using shampoo. It can be applied to any color of hair, as long as it is clean and dry. 17 year old girls will love being able to change the color of their hair – they can even choose a different color or each day of the week! There are 5 different colors included, as well as 24 hair elastics, some beads and a hair beading tool. This is a fun gift for girls to use with their friends at a birthday or sleepover party. For every teen girl who loves crafts, this is the perfect gift item one can offer her. Not only is it fun to do, it also results in some beautiful pieces which can be displayed around the house. Girls will love to proudly hang their artwork for everyone to admire. The kit is also ideal for improving creativity and motor skills. This art kit comes with everything needed to complete the projects, so there won’t be any need to rush down to the art store for more supplies. 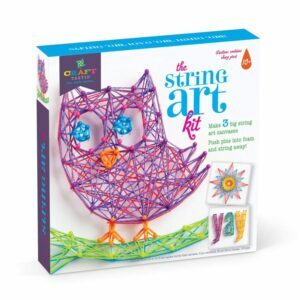 The kit includes items such as push pins, colored strings and three canvases with pre-printed designs. To complete the project, simply push the pins into the color-coded holes, then wrap the coordinating strings around them. If none of the included designs appeal to your teen, she can create her own too. This water bottle is made using high quality and BPA-free materials to ensure it is long-lasting and 100% safe to drink from. 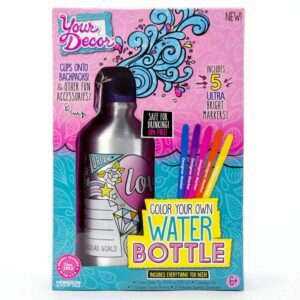 It comes with a plain black and white design as well as 5 colored markers for girls to color in their own, unique bottle. The pens won’t wash off, so the bottle will continue looking great for a long time. This is the best gift idea for kids on their birthdays, sleepover parties and get-togethers – you could get one for each girl so they can enjoy the creative activity together. The kit comes with everything needed to create a fun and personal water bottle – it is a gift which is both practical and lots of fun! This is a high quality tea tumbler for all tea lovers out there. 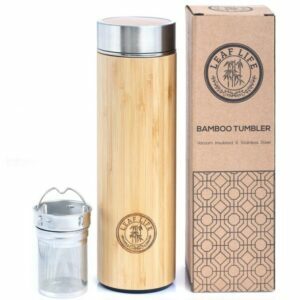 It is made using top quality, premium bamboo which offers a stylish and elegant look and also ensures the flask is durable. The interior of this flask is made from stainless steel to ensure it is stain, odor and bacteria-resistant. The innovative vacuum technology used in this flask means it will keep tea hot for an impressive 12 hours, or keep it cool all day. The flask includes an infuser which can be used to infuse and strain tea, infuse fruit water or even make herbal drinks. This flask would be an excellent gift for girls who love infused drinks and are always on the go. Adult coloring books are more popular than ever and for good reason – they are incredibly relaxing. Coloring the intricate patterns is a great way to de-stress and pass away the time. This set includes three books each with a different theme – jungle life, birds and sealife. Each book has a differing level of difficulty, so those who are new to coloring these patterns can start with the easier ones before working up to the more advanced. There are over 120 patterns included, so you can guarantee this set will provide endless hours of relaxing entertainment. If your 17 year old can drive or is going to start learning soon, these car seat covers are a great idea. Even if she has an old car which isn’t up to her tastes, some fun accessories such as these will help make the car more personal and stylish. They come in the choice of either pink, green or red, so you can choose which you think she would like the most. The seat covers have zipper fastenings meaning they are easy to install. 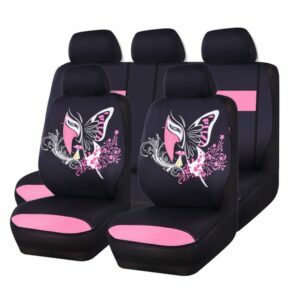 The back seat cover can be used on a variety of seat styles, including 40/60 split, 50/50 split and 40/20/40 split. These are high quality socks perfect for teenagers and young women. They are designed to fit feet of any size from 4 – 9. 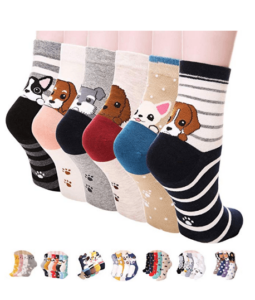 The socks come in a choice of cute and fun designs, like the puppies shown below, a choice of cat designs or cute and colorful owl patterns. The cute and funny designs make these socks the perfect gift for any girl who loves wearing fun, novelty socks. They are certain to put a smile on her face! The socks are made primarily from cotton to ensure they are soft, warm and comfortable to wear. Socks are the perfect gift at Christmas, although these fun designs are perfect for every occasion. This cute t-shirt is perfect for a girl celebrating her 17th birthday. Unicorns are very on-trend at the moment, so you can be sure this gift will be well-received. It comes in a variety of sizes as well as 5 different colors including white, black and baby pink. The t-shirt is made from 100% cotton to ensure it is comfortable to wear and will last for a long time. It’s lightweight and has a classic fit, so you can be sure it will look great on. This cute charm bracelet is an excellent keepsake gift for a 17 year old girl. It features different charms including a birthday cake and a ’17’. The bracelet comes in two different sizes, and can be adjusted to fit almost any wrist. The charm bracelet is made in the USA, so it’s perfect for those who are seeking to reduce their carbon footprint and support the national economy. This bracelet is perfect for giving as a gift as it comes in a nice gift box. If you are in the mood to have fun then this is the game you need to play. It involves telling hilarious stories that will amuse everyone, making it fun to play with family and close friends. This party game requires four to eleven players, so it is perfect for playing at birthday parties or Christmas family gatherings. 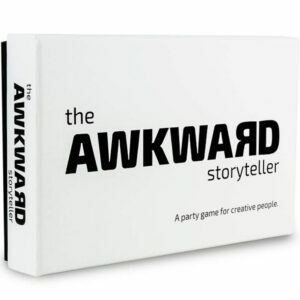 It is really fun and easy to play as all that is required is for a player to select a card and build their story based on the words written on the card. This party game comes with 50 story cards, 121 question cards as well as 11 challenge cards so the fun is endless. If you do manage to get through all the cards, there are expansions available which include more story and question cards. This game is the ideal gift for teens as it helps to boost interactive skills and bonding among peers and family. It’s also certain to make the whole family relax and enjoy some fun together. This flower hair accessory kit is a great gift for girls who love styling their hair with different accessories. The floral crowns are perfect for wearing in the summer, and they are a must-have accessory for music festivals! Girls can use this kit to learn how to use paper blossoms in making flower crowns. This hair accessory kit comes with everything needed to make the crowns, such as a fabric leaf garland, ribbon, berry bunches, paper roses and glitter paint. 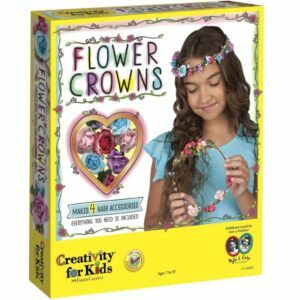 This activity is great for girls to enjoy with their friends – there are enough materials included to make several crowns. Girls will love being able to choose colors and designs to match all their favorite outfits! This is a must have for every growing girl – they will love the popular and stylish colors which are included. Its colors include oranges, reds, pinks and nudes, so there is something to match every look. Unlike most poorly formulated lip gloss products you might find for sale, these ones contain vitamin E and Aloe Vera which help keep the lips soft and healthy. It is made by the famous and notable SHANY company who is a known member of PETA as its products are made without animal testing or other unnecessary cruelty. This adorable lip gloss set is one gift item every teen girl out there would simply love to have. This tracing pad comes with twelve colored pencils, ten blank sheets of paper, a graphite pencil, ten tracing sheets and also three AAA batteries for operation. 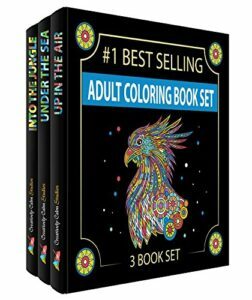 This is a unique product which is perfect for children and adults alike – it is an excellent gift idea for any girl who love to draw. The LED lights illuminate the surface evenly, so girls can easily trace and draw the included designs, or use any of their own pictures. 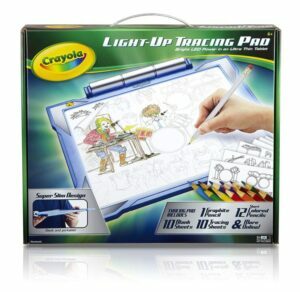 The Crayola light up tracing pad is a reliable and fun gift to offer any teenager who is interested in drawing. Another impressive feature of this well-designed tracing board is its paper-locking frame which means paper won’t slide about when drawing and tracing. This product makes use of high-quality ingredients such as essential oils and Shea butter, which delivers impressive results to the body and face. 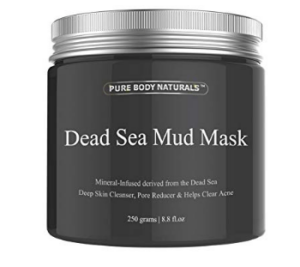 The mud mask will not cause any harm to the skin or body as it doesn’t contain parabens, fragrance, alcohols, dyes, bronopol or phthalates. Therefore, it is suitable even for sensitive skin types. Of course, it has also been thoroughly tested to ensure it is safe for use. The mask is effective when it comes to eliminating, detoxing and exfoliating the build-up of clogged pores which are known causes of acne and irritation. This is a great gift to offer a teenager who is suffering from such conditions, or who is becoming increasingly interested in her appearance. If your 17 year old has got a driving license then it follows that she will also want to own a car. Of course, we are not suggesting to buy your child a car, unless of course you can afford to. Rather, purchase items to make driving fun, such as steering wheel covers or car mats and seat covers. If you want to get something really practical and important, consider a roadside emergency kit. These type of gifts would definitely be appreciated by teens. An MP3 player, Apple laptop or even a solar battery pack will definitely be greatly received. If you want to be considered a hero, then getting her a new cell phone is sure to do the trick! You might also like to consider items such as digital cameras – great if your teen has an interest in photography and her cellphone camera isn’t quite good enough. The items in this category always seems to interest teens. Surprising her with tickets to a fashion show or even getting her some new clothing would be great. If she is a fashion addict, consider gifting her a subscription to a fashion magazine to inspire her. Selecting a suitable gift for a 17 year old can be quite overwhelming. With the items listed above, you will no longer have any trouble in figuring out what she would like or what’s best for her. Good luck!